Sorry for the major lack of posts lately. Thanksgiving came and went and in a flash. I did a fair amount of cooking but mostly tried and true familiar recipes. We did try a couple new things which will definitely be going in the recipe box to make again. 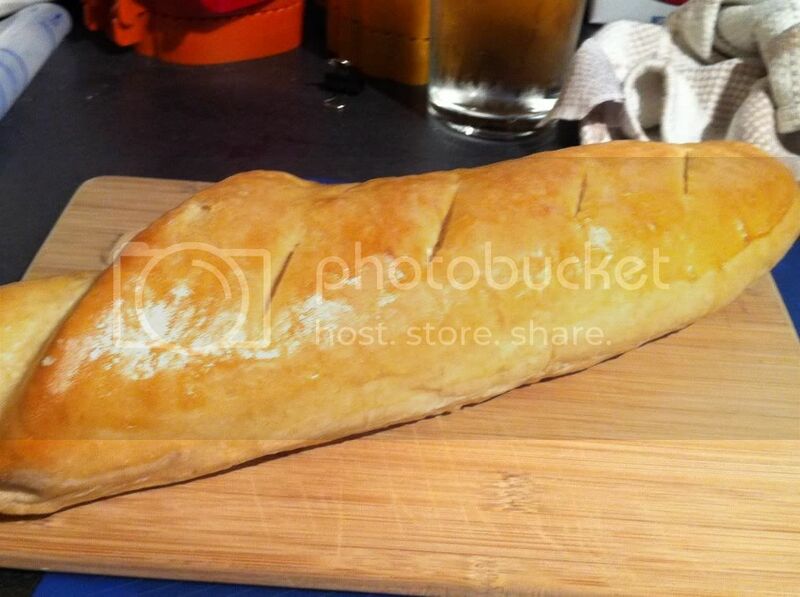 First, there's this french bread. It's from the Better Homes and Garden Bread Machine Cookbook, which I checked out from the library and sadly may be out of print. This is the third or fourth really nice recipe I've tried from this book, so I recommend picking it up if you see it at your local library or in a used book store. With only four ingredients and only a minimal amount of shaping, this bread recipe whips up fairly quickly. It's flaky and is great for sandwiches or snacking. We even used it in our stuffing in place of the usual store-bought loaf with great success. On to the recipe. Add first 4 ingredients to bread maker according to manufacture's directions. Select dough cycle. When cycle is complete, punch dough down. Cover and let rest for 10 minutes. Divide dough in half and roll into a 10 x 8" rectangle. Starting from long side, roll into a spiral. Pinch ends to taper. Place loaves, seams down on a greased baking pan dusted with cornmeal (we made this 3-4 times and forgot this step every time). Brush with egg wash. Cover and let rise in a warm place for 35 to 45 minutes or until nearly double. 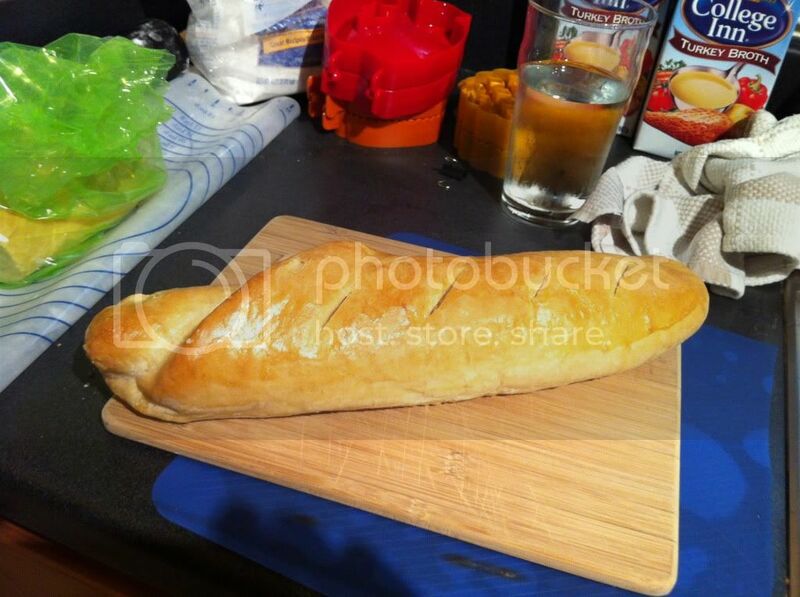 Using a sharp knife make 3-4 diagonal slits about 1/4" deep across the top of each loaf. Bake in a 375 degree oven for 22 minutes. Brush with remaining egg white mixture and bake for 12-15 minutes until loaves sound hollow when lightly tapped. Makes 2 three-fourth pound loaves.